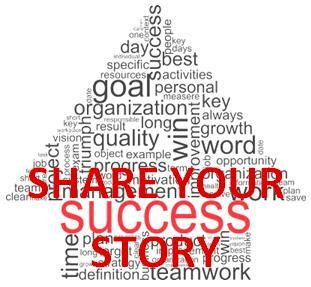 One important way to tell people about things that work is to tell a story of success. Stories engage people. Since the beginning of time stories have helped people learn from one another. Success stories share what works across groups and communities and help build replications of that original successful model. Because health is about individuals and families and communities our success stories serve to spread the word about what works. PHiT identified four goals in January 2013 – one to create a process for development and collection of success stories that illustrate the effectiveness of ToP Methods used in conjunction with community planning models. In June 2013, Deb Burnight and Linda Alton trained 17 health consultants from the Association of Maternal Child Health Programs (AMCHP) in Focused Conversation and Consensus Workshop. This training was provided by a partnership of AMCHP and State Adolescent Health Resource Center (SAHRC) in an initiative to build capacity for the collective impact of states to implement comprehensive adolescent health systems. ToP approaches are emerging as a crucial tool in this initiative! The following examples were compiled from various correspondence with state teams (consisting of the State Adolescent Health Coordinator in the Department of Health, and their teammates in attendance at the June 2013 AMCHP/SAHRC adolescent health systems building training). It was a helpful to have a way to direct the conversation, and we got positive feedback from participants. The audience loved the activity. We used a sticky wall to put up several developmental occurrences, and they arranged and rearranged them as they saw fit. This drove a great conversation about understanding and communication between youth and youth-serving professionals. It went off without a hitch. I loved having the great conversations between the youth and the professionals. The space felt safe and I do feel that the youth felt so too. They were open and honest about their experiences in the discussions. I am excited to report that I conducted my first consensus workshop with my staff and it was phenomenal. Everyone loved the process and were truly amazed. I can’t believe I am doing this but I am and it’s working. It was amazing to see the energy in the room and the full participation of both my introverts and extroverts. I was really encouraged, thank you so much for providing this valuable tool to us. We have worked hard writing and organizing the [Consensus Workshop] questions and rehearsing. It is a wonderful feeling of enthusiasm and butterflies in the stomach… This way of working out meaningful conversations and consensus is something young people need to experience and need to know how to do it. How many misunderstandings and frustrations can be avoided by working in this way! We were pressed for time in accomplishing our task because the process was part of a larger agenda. In the end, I was truly amazed at the participant’s responses in comparison to our traditional brainstorming and prioritizing discussions from the past. The energy and excitement for the upcoming work was truly evident. The next Monday several staff members made a specific point of commenting on the productivity of the meeting. The method was very successful in defining our group purpose. Definitely one of the most useful training/skill sets we've provided for state adolescent health coordinators!